What pushes them to the limits? 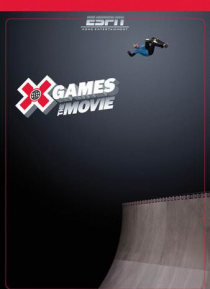 X GAMES: THE MOVIE takes you behind the scenes with six action-sports legends to experience all the sacrifice and glory that come with competing on the biggest stage in action-sports. Pushing themselves and the equipment they ride to places never thought possible - you will get a firsthand account of how these athletes abandon their fear, and risk it all to redefine… the limits of the sport. This is the X Games as you have never seen it before.